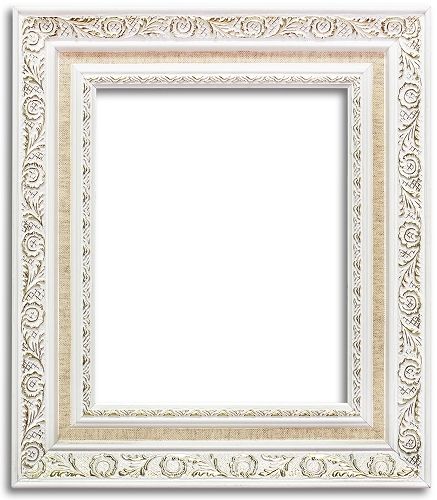 This lovely white frame will enhance any room or decor style. 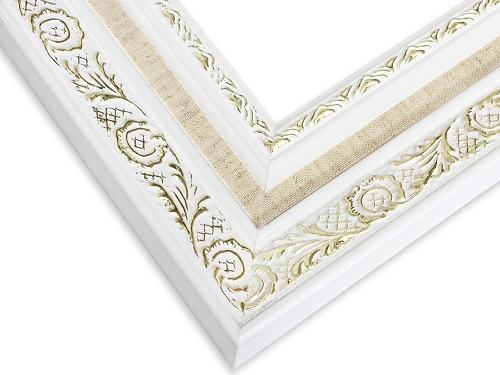 Its decorative edges show a lovely ridge of a gold embossed flower pattern. The inner lip with golden design has matching tone and quality with the outer edges; bringing in a stunning look that adds a classy and beautiful design that is unique and timeless. 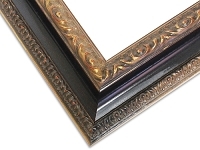 With the linen layer in the center, the frame adds an additional textural design entity. 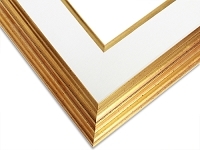 This frame is a work of art in itself and will enhance a photograph or simple piece of artwork. Its white, gold and linen color will match any colored room. 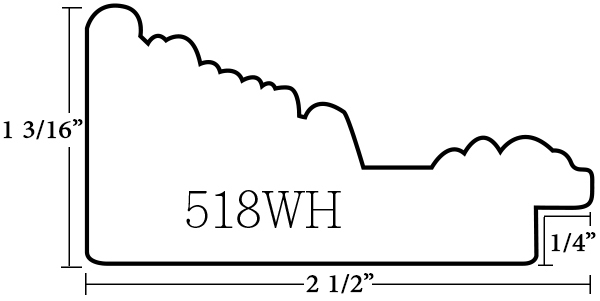 On a lighter colored wall or desk, it will bring out a monochromatic feel that easily pulls everything together.